DETROIT – A “devil’s triangle” destroying DPS is being largely ignored in discussions about the district’s governance and solutions to its problems. A second side of the triangle is state per-pupil funding for Detroit, $7660 in 2010. It runs about three-fifths of that accorded to students in suburbs like Bloomfield ($12,443) and Birmingham ($12,336). This recalls the notorious Three-Fifths compromise enshrined in the U.S. Constitution in 1787, which considered a kidnapped African three-fifths of a person. If the state aid factor were equalized even by one-half the difference between funding for those two wealthy districts and Detroit, it would put another $205.5 million into DPS coffers. “In the 2002-2003 school year, DPS’s pre-kindergarten through 12th grade student population was 164,500, but estimates for Detroit’s public school enrollment this year stand as low as 84,000 students,” Julianne Hing writes in the March 2010 edition of Colour Lines. “Experts project that in five years’ time, the number of students in Detroit Public Schools will be 56,000 students. DPS is thus losing $414 million a year to charter schools within the city’s limits alone, when one multiplies the charter school population by DPS per-pupil state aid of $7660. Current school board president Anthony Adams served as Corporation Counsel for DPS under Burnley, during the term of the first state reform board, and afterwards as Chief Compliance Officer for the District. 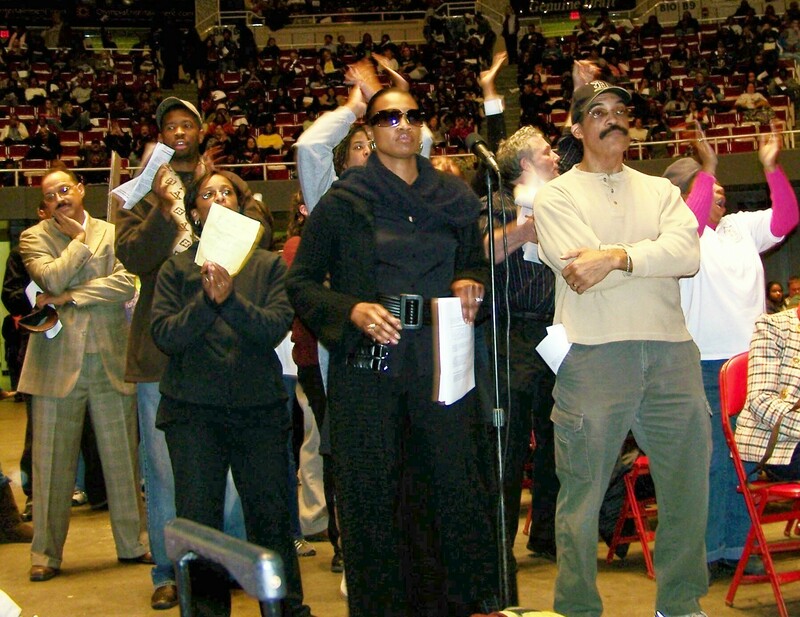 At the time, he said he had unsuccessfully advocated that the district sue the state of Michigan for “equivalent funding.” Cities like New York and Newark have done so, asking for funding greater than that accorded to wealthy areas to compensate for the poverty, unemployment, and other dire problems in poor, Black and Latin cities. These cities have won multi-billion court judgments, mostly still under appeal by their states. So what does Adams plan for the future now? He said he still supports the idea of a DPS “equivalent funding” lawsuit, but was non-committal about if, when and how it might happen. Adams is not running for another term on the board, but has appointed an “Ad Hoc Transition Team Committee,” although the Board already has a very active Parents Advisory Committee. The Detroit Free Press says the transition team is an exercise in futility, anticipating that a new governor, likely a Republican, will put the district back into receivership. But meanwhile, what solutions does the transition team propose? Adams’ own biography on the DPS website raises red flags. It is unclear who is actually on the team, because the board has released only a list of invited members. (See chart at end of article.) But the first meeting of the team’s “Leadership Committee,” held at the same time as the board’s monthly meeting Aug. 21, gave some insight regarding the team’s direction. Adams appointed private-sector veteran Bill Brooks, CEO of United American Health Care (UAHC), and a retired 27-year GM executive, as head of the leadership committee. Its charge is to make recommendations to the Board regarding the selection of a new Superintendent. “We need to look at the environment in which the Superintendent will function, and keep focused on educating our children.” Brooks said. “One problem is parents who are culturally illiterate; we can’t send home emails or ask them to get on our website [because they can’t use computers].” He advocated parental academic programs but did not suggest a source of funding. Brooks served as chair of the first reform school board during former DPS CEO Kenneth Burnley’s tenure. During that time, thousands of DPS workers lost their jobs, and dozens of schools were closed, while lucrative private contracts to Compuware, Aramark, and others were handed out like candy. Brooks did unsuccessfully call for Burnley to step down, after repeated pressure by students, DPS workers, and parents at board meetings. But, as the district’s legal counsel, Adams WAS directly advising Burnley about those decisions. Brooks has been UAHC CEO since 2002, making $320,000 a year. His term has been controversial. On July 20, a group of UAHC stockholders, Strategic Turnaround Equity Partners, won a court injunction ordering that Brooks and UAHC Chairman Tom Goss hold the company’s long-delayed 2009 annual shareholders meeting and election on Sept. 30, 2010. “Under the Company’s Chairman Tom Goss and its CEO William Brooks, United has lost all of the Company’s major contracts; some of these contracts had been with the Company 10+ years,” Strategic alleged in a release published in Forbes. Strategic’s lawsuit said that Brooks and Goss deliberately delayed the meeting to circumvent the election of three new “dissident” directors. Sherry Gay-Dagnogo functioned as Brooks’ “administrative assistant” during the meeting. Gay-Dagnogo, a charter school science teacher, is also the education chair of the Greater Detroit Chapter of the National Congress of Black Women (NCBW). 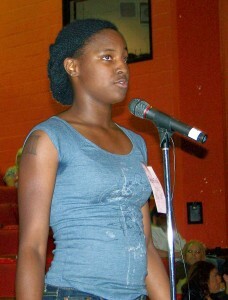 She organized NCBW’s national convention in Detroit in May. The convention’s invitation lists the Skillman Foundation as the “premier sponsor” of the event, and Alberto Retana, Community Outreach Director for the U.S. Department of Education, as the key speaker. 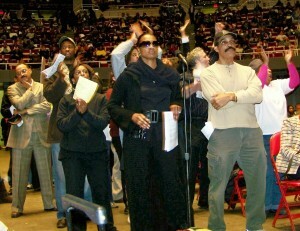 The Skillman Foundation has also been a “premier” advocate of down-sizing Detroit’s neighborhoods and school district. Retana’s boss, U.S. Secretary of Education Arne Duncan, and President Barack Obama himself are both ardent charter school advocates. So is Akindele Akinyemi, staffer for City Councilman James Tate, who represented Tate at the meeting. Others at the meeting included City Council member Saunteel Jenkins; Ruby Newbold, president of the Detroit Association of Educational and Office Employees (DAEOE); a staff representative of Councilman Andre Spivey; Mildred Madison, president of the Detroit chapter of the League of Women Voters; John Telford, a retired DPS administrator, author and former member of Mayor Dennis Archer’s DPS advisory team during the first state takeover; DPS parents Reginald Davis, Tamara Wills, and Christopher White, Diane McGee, youth pastor at New Hope Missionary Baptist Church, and retired DPS administrator Eugenia Gibson. Helen Moore, of the Keep the Vote No Takeover Coalition, arrived after the school board meeting ended. There was a general consensus that the Superintendent should be an academician, and conflict over whether he or she should come from Detroit. A large number of participants said “parental involvement” is the chief problem faced by the district. Davis said all DPS schools should be open to every child, unlike Cass Tech and Renaissance High. A list of former DPS superintendents was posted. Several members said they had supported Deborah McGriff, while others held up John Porter as an example. McGriff is now a founder and national board member of the Black Alliance for Educational Options (BAEO), a pro-charter school organization funded by several conservative foundations. Akinyeme is also a BAEO member. Chris White said he had spoken with former New York City and Miami-Dade schools superintendent Rudy Crew about serving. Crew was named the 2008 National Superintendent of the Year by the American Association of School Administrators (AASA), for substantially raising student achievement in Miami-Dade. He received plaudits for similar accomplishments in New York. Crew is now interim executive director of the Greater Crenshaw Educational Partnership, a nonprofit founded by the University of Southern California, the Tom and Ethel Bradley Foundation, and the Los Angeles Urban League. Proposed qualifications for board members were also addressed, with White and Moore supporting the composition of the current board. There was no discussion of DPS debt, state funding, or charter schools. TRANSITION TEAM HEADS Michael P. Flanagan, MI Sprt. Helen Moore, KTVNT Michael P. Flanagan, MI Sprt. 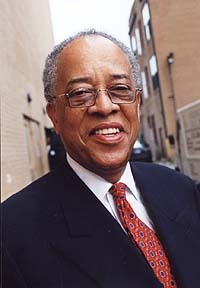 Dr. Glenda Price Wilbert King, Jr.